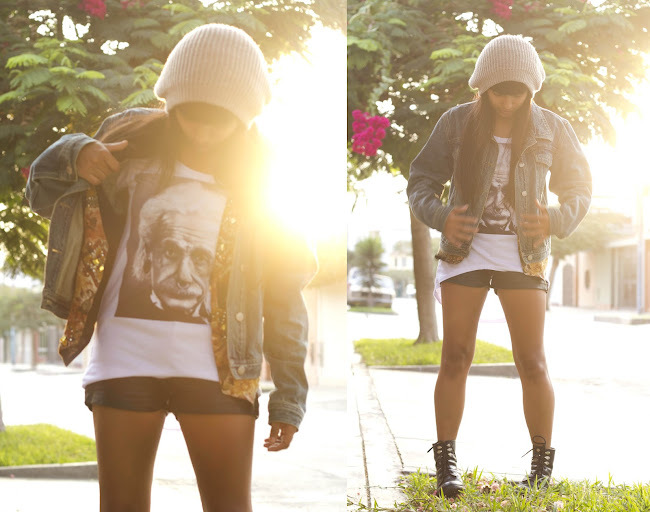 Here i’m wearing an Einstein shirt, leather shorts and Beanie from Camote Soup, and the vest and jeacket are vintage. Tomorrow the Lima fashion week starts here so see you tomorrow at the Adolfo Dominguez fashion show! loving your look! great tee! I hope you follow me…just like i follw you! Precioso outfit, muy comodo y relajado! Maravilloso tu look de hoy. maravilloso toda la combinacion, me encanta el top de einstein y el chaleco. Me encanta 🙂 un besito! Loving that sparkly vest peaking out from the layers! 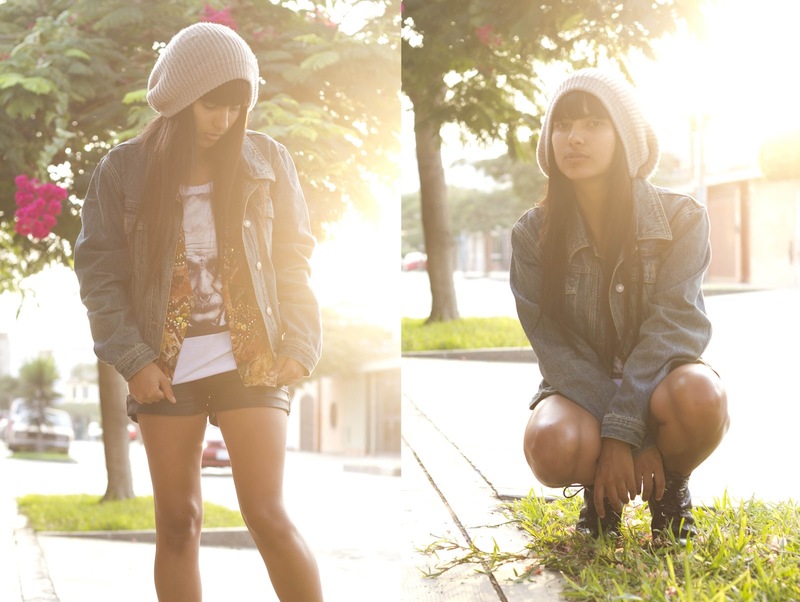 Me encantan todos los layers! I love this! And I love your blog, it’s amazing 🙂 I’m following you! tengo que hacerme un tiempo para ir a tu showroom!! Que linda combinación! Tengo que ir al showroom!! That knit hat goes with this casual, cool outfit perfectly. Haha, love the Einstein print tee! I’m LOVING that hat on you! Too cute. i lov’it!!!! great great post! qué lindo look!! me encantan esos shorts de cuero! muy lindossss. yo quería unos así y cuando los encontré en h&m no había de mi talle! boo hoo! qué divertido asistir al Lif Week. espero compartas fotos!